If you’re not familiar, manifold.JS is a new open source framework that that can take a website and create an app for Windows, iOS, Android, Chrome, and Firefox, simplifying the creation of hosted apps across platforms. It debuted at the Microsoft Build 2015 conference in last April. manifoldJS runs as a command line tool through node.js or you can use the web based tool at http://www.manifoldJS.com. And…BOOM! You’ve just build a hosted web app with Crosswalk. 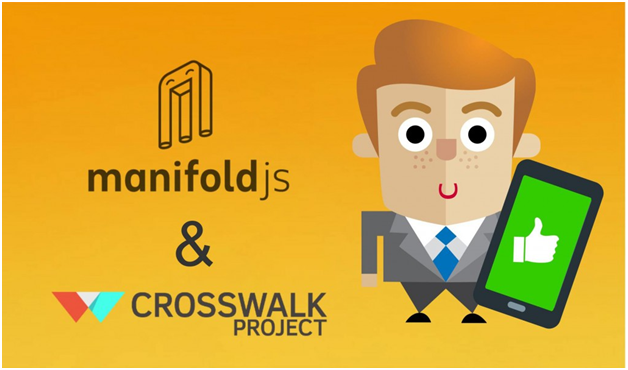 With Crosswalk you can be confident that the newest HTML5 features such as WebGL, IndexedDB, Web Sockets, and CSS3 are there for your app. 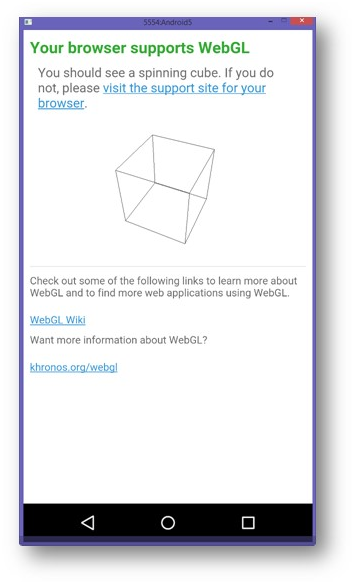 For example, here’s the output from a WebGL application that uses the default webview and was generated by ManifoldJS with the following command line. And here is the same application with Crosswalk enabled. It was generated after adding the -c (or –crosswalk) switch to the previous command line. With Crosswalk you can be sure that all your users get the intended experience. Crosswalk is a web runtime environment engineered by the crosswalk project. Crosswalk has taken the open source Chromium and Blink engine and compiled them into a modern up-to-date runtime environment. You can think of crosswalk as a powerful webview, in fact, when the Crosswalk flag is set, we use it in place of the traditional Android webview. Crosswalk support brings two main advantages. 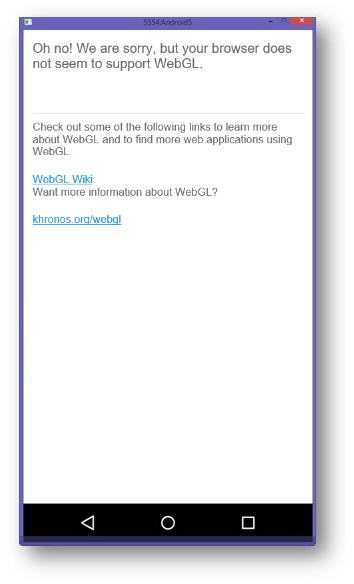 First, it’s an “updated” web runtime environment. That might not be much of an advantage for Android users on a recent version of the Android OS, but for users on older versions of the OS, it’s an immense improvement. The Crosswalk webview will give you access to all the latest HTML5 features and performance gains over the traditional webview. I can only think of one reason why you wouldn’t want to use Crosswalk. Application size. The average .apk file (that an application file for Android) that we produce is just a few megabytes. Adding Crosswalk to the app adds an additional 20mb, close to 60mb once installed on the device. You need to make the decision to determine if the resource cost is worth it. Bundling the runtime with the application is the simplest approach for distribution purposes but Crosswalk applications can also share a single runtime library (in “shared mode”) to lighten the load. A package which enables shared mode is part of the Crosswalk for Android distribution. However, you would have to distribute this shared runtime package yourself. Visit the Crosswalk wiki for more details. Keep in mind, the nature of a hosted web app is that you make your app updates on your webserver, so in most cases, the cost of the added package size will be felt with the initial download, not with every update like a regular native app. We’re excited to be supporting the Crosswalk web runtime environment. 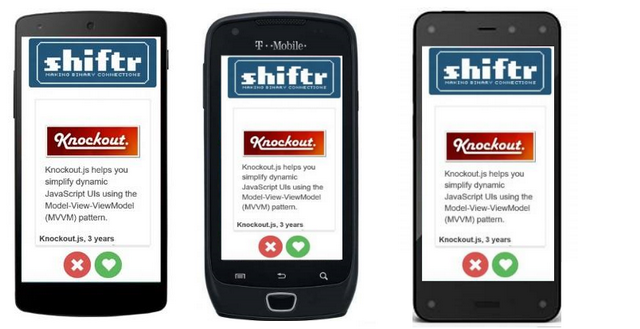 It’s filling a gap in the Android system that makes development simplier and more relyable. Give it a try with your next ManifoldJS app and see what you think. For more information on Crosswalk, visit the site at https://crosswalk-project.org/. To start building store apps from your website, go to www.manifoldjs.com and get started.